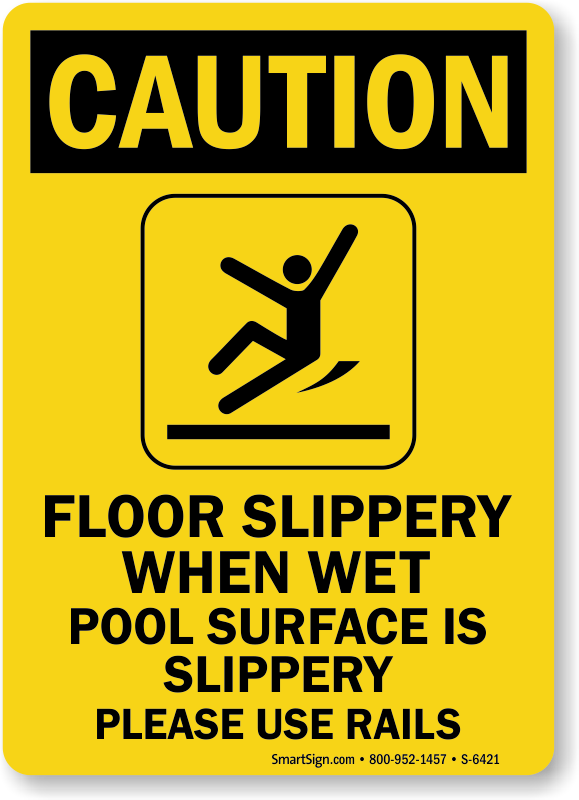 Warn others of slippery conditions in your pool area, so that everyone can walk with caution.When your pool area is slippery, it's a hazard. 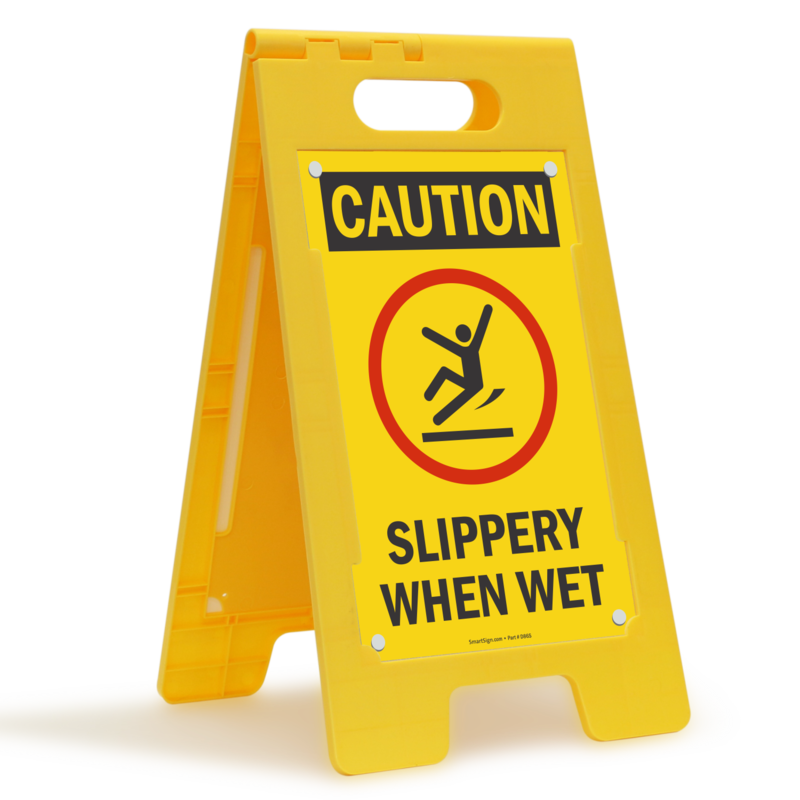 Limit your liability and encourage everyone to travel safely with a Slippery When Wet Sign. 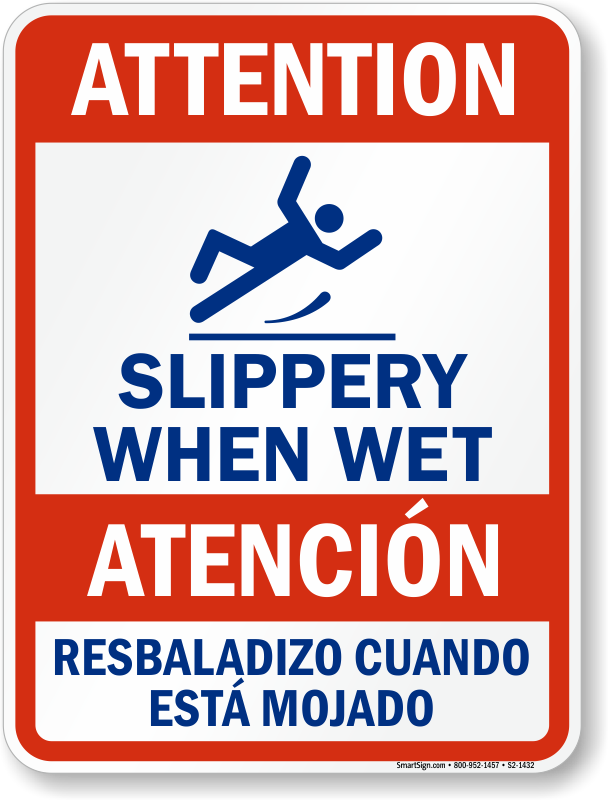 These signs are also great for showers, locker rooms, spas, and more. 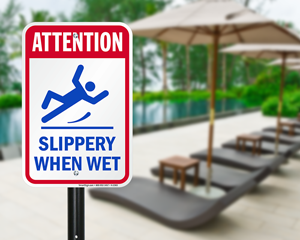 • Bold colors and graphics grab attention to warn everyone of the danger. 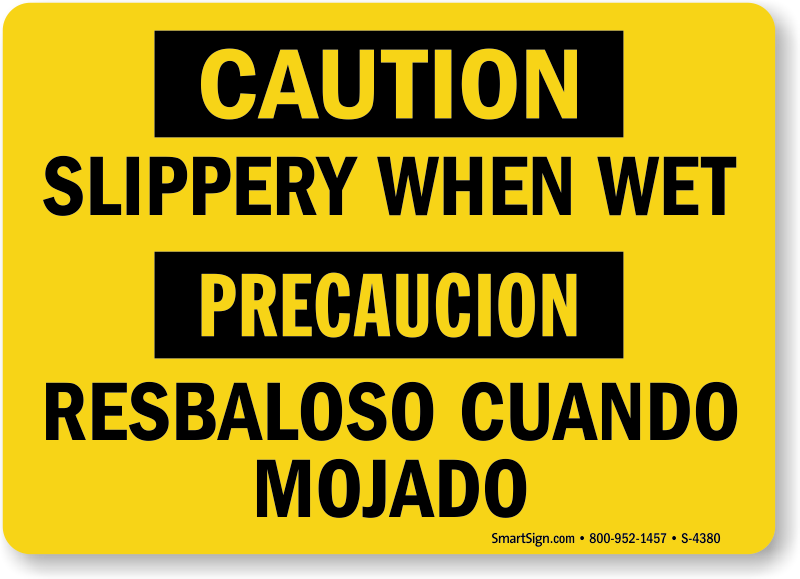 • Bilingual text makes sign widely understandable and is available on many signs. 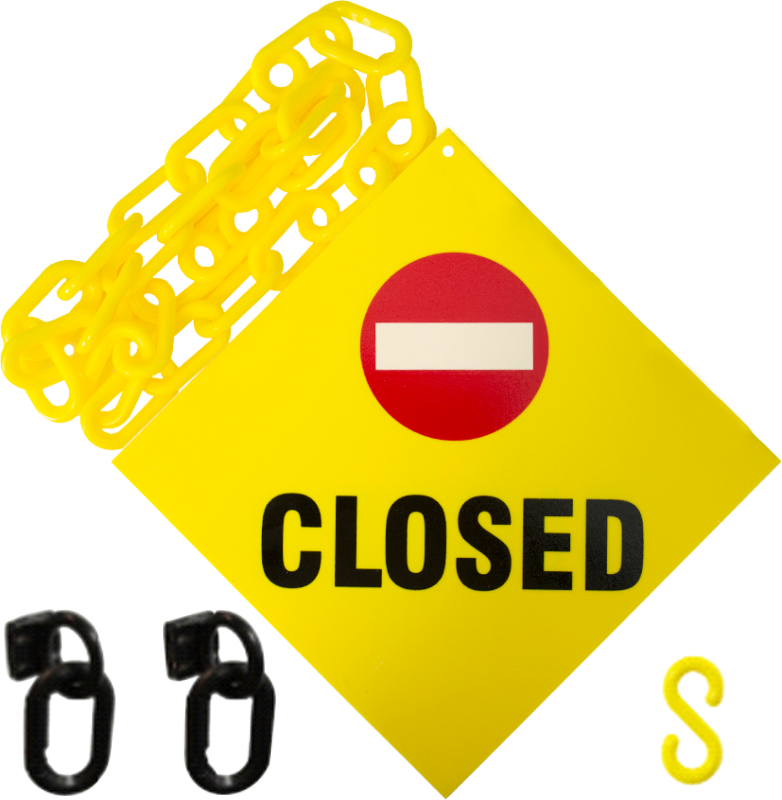 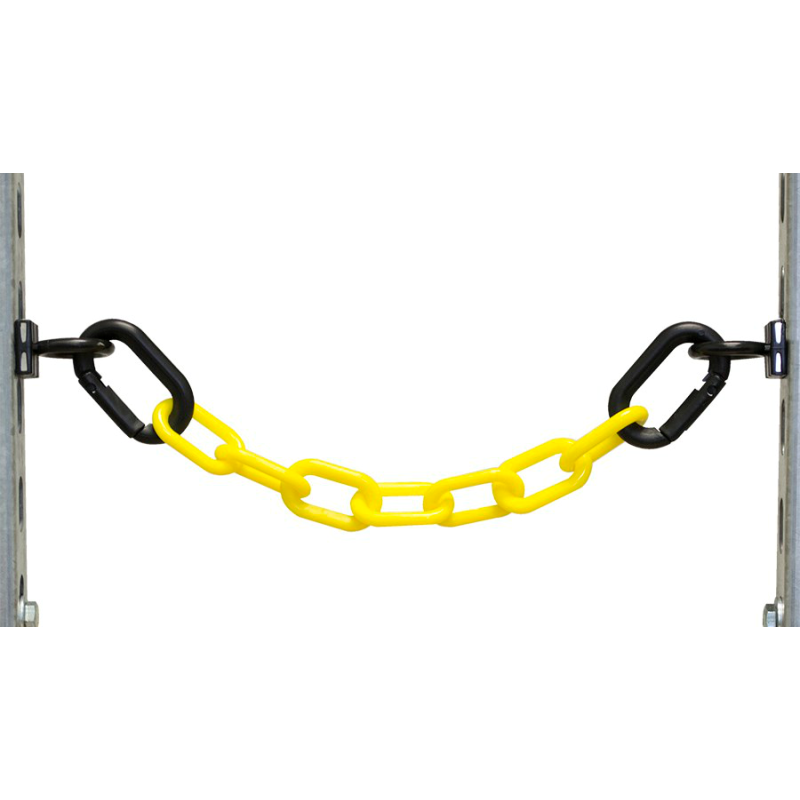 • Choose from a variety of Caution signs and more. 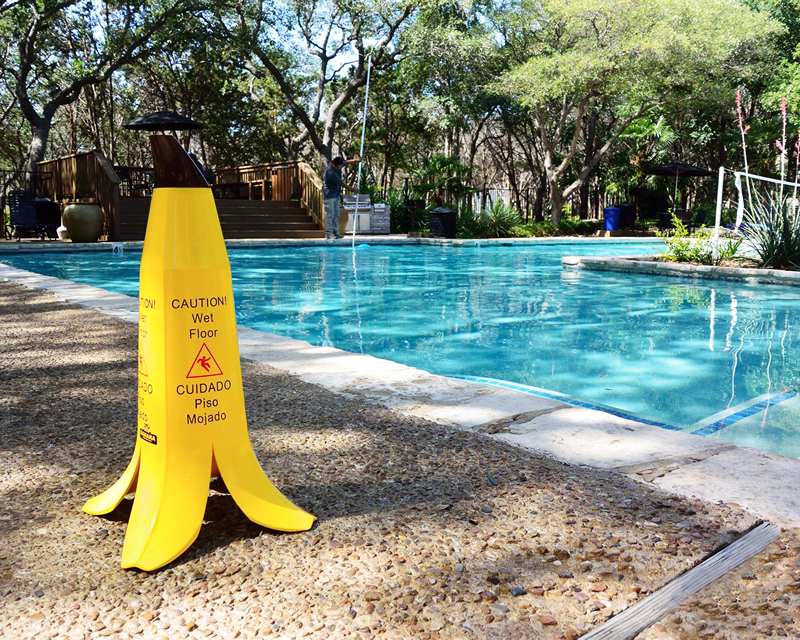 A sign that no one can forget – and everyone notices. 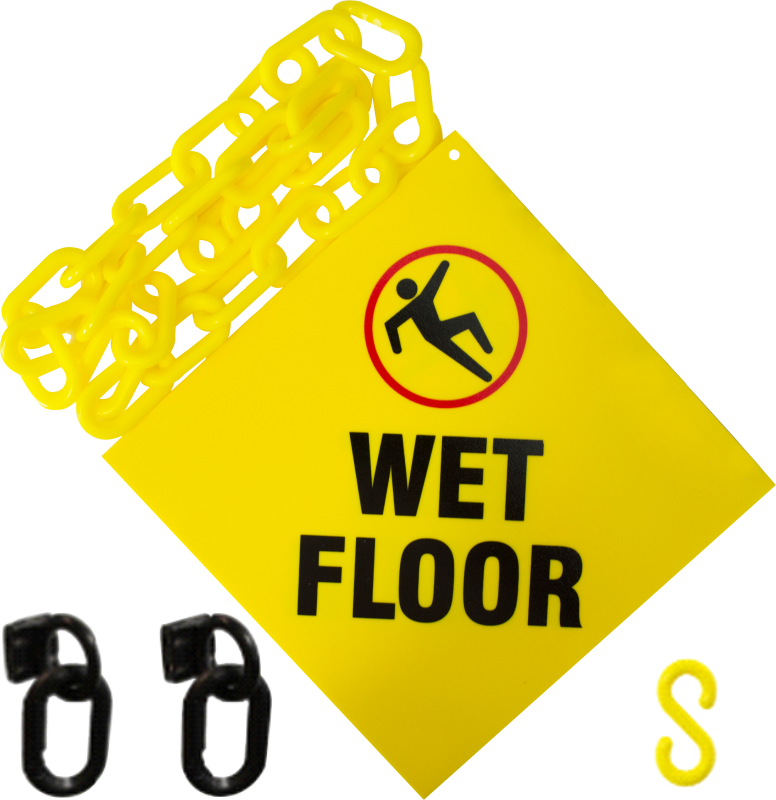 Handy signs fold up for easy storage, yet can be placed just where they are needed. Molded plastic signs stand up to abuse. 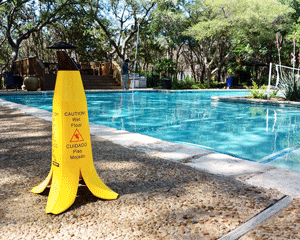 Adhere these markers right to the tile or cement at your pool side. 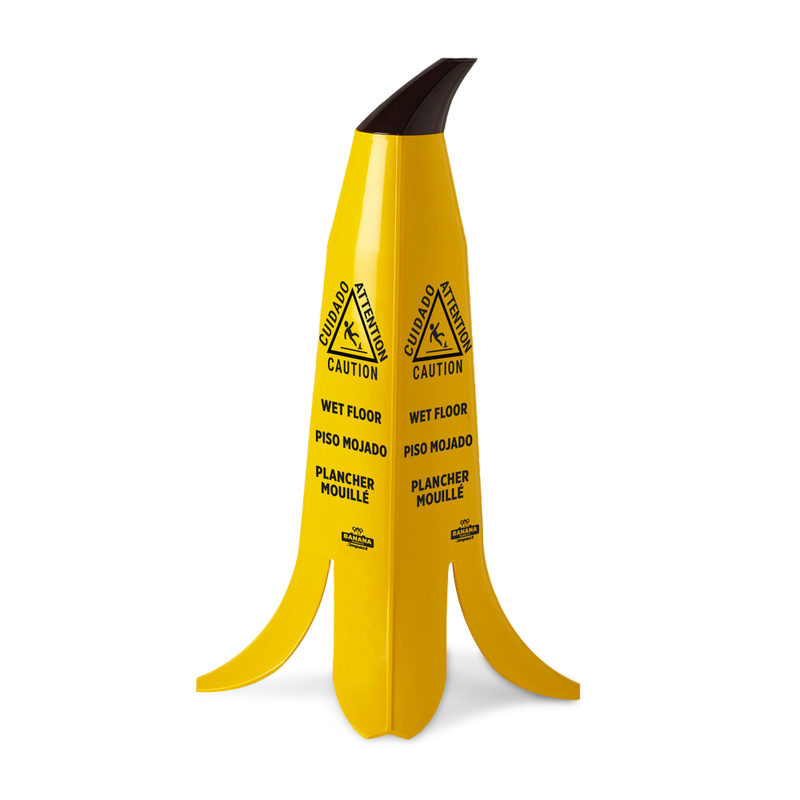 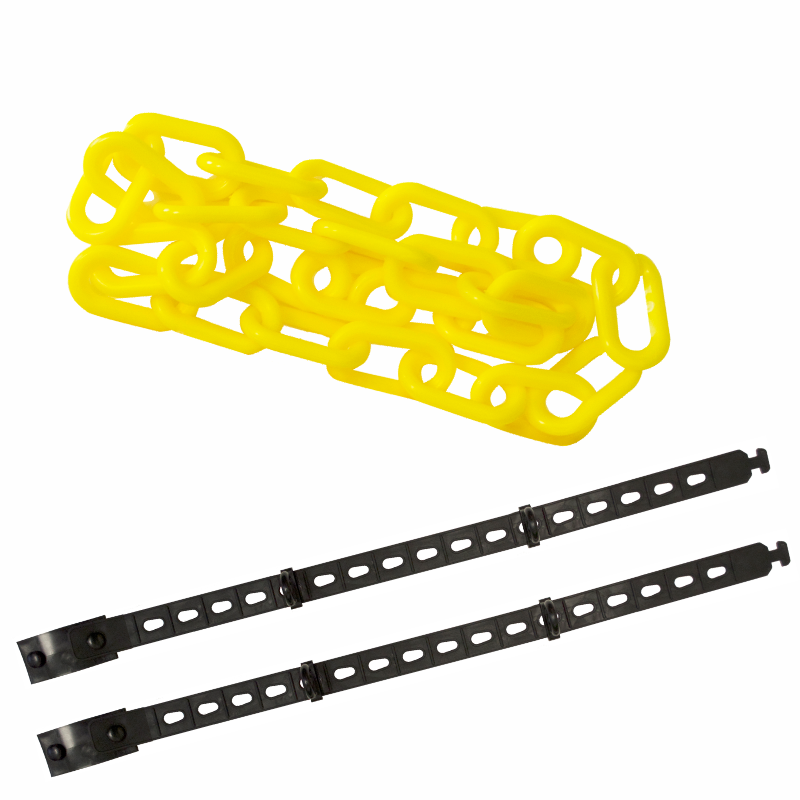 Markers have an aggressive adhesive that sticks permanently and an pebbled, anti-skid surface. 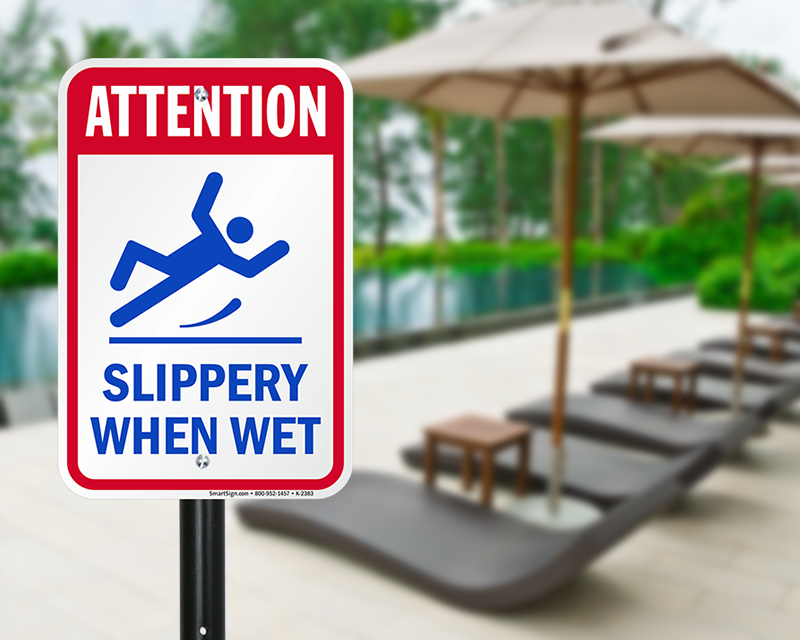 Sign stands out so people will remember Safety First when walking down our stairs. 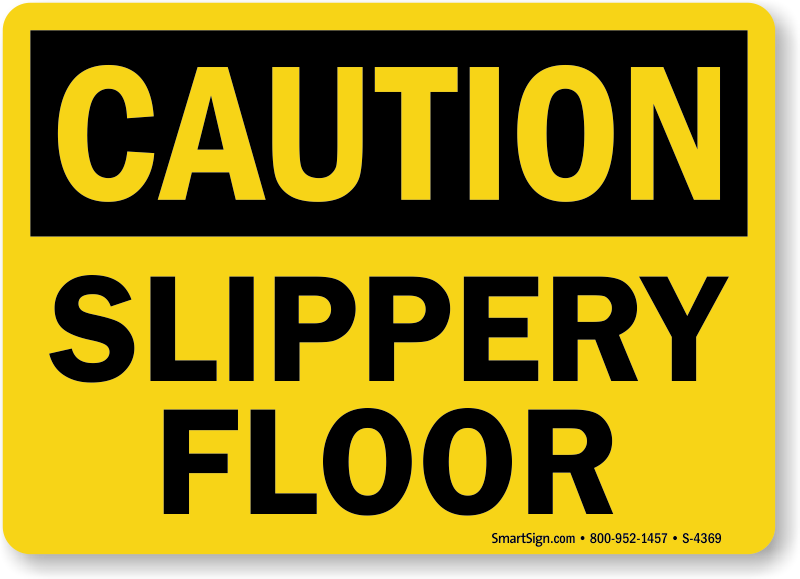 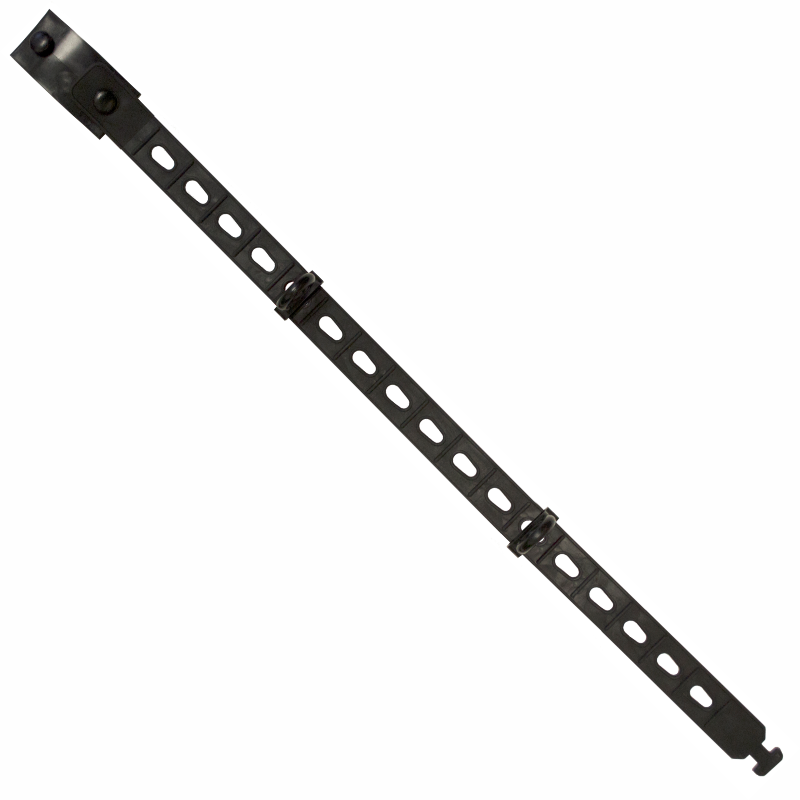 It will work perfectly for our short film, and then can be used for safety purposes!